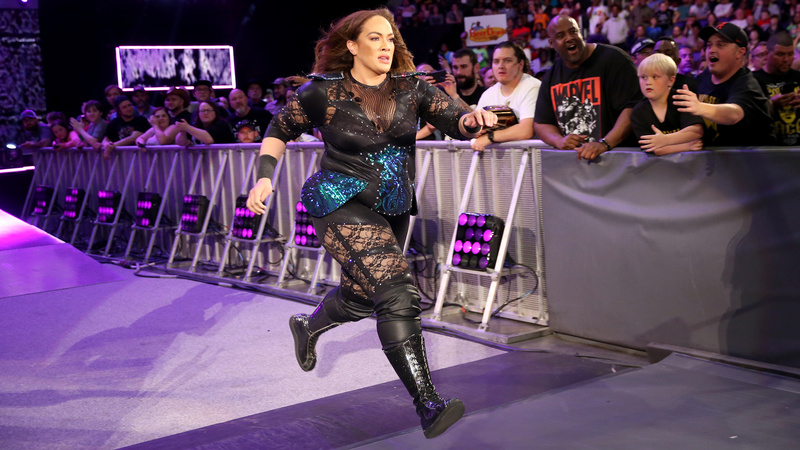 Back from the break and out comes the new RAW Women’s Champion Nia Jax. Fans chant “you deserve it” to her. Her partner is out next. Alexa Bliss is out next with Mickie James. Bliss talks about how Jax is just a bully who likes to throw her weight around. Bliss makes fat jokes and the crowd responds with an “a**hole” chant. Bliss says she lost last night because she was distraught over Jax beating up Mickie for no reason. Bliss says she lost because she’s a compassionate woman and was competing under emotional distress when she saw what happened to Mickie. Bliss says everyone in the back knows Jax is cold inside and that’s why she has no partner tonight. Jax tells Bliss to shut up. Jax says Bliss is right, she enjoyed every second of the beatings she gave last night. Jax announces that she’s our new RAW Women’s Champion and fans cheer. Jax says Bliss is wrong about tonight because she does have a partner. Oh yea. And her name is… Ember Moon. 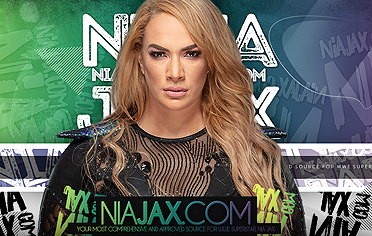 Back from the break and Jax goes at it with Mickie tossing across the ring, then follows up with a corner splash. Mickie takes out Nia’s injuried knee Bliss tags in and works over Nia in the corner, yelling at the referee. 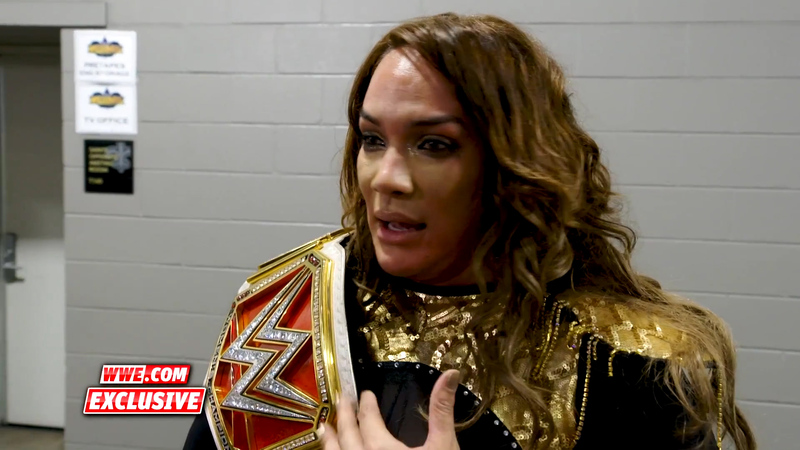 Cole says he heard rumors on Bliss and Mickie lobbying to go to SmackDown in the Superstar Shakeup. Jax grabs Mickie and Bliss at once by the neck and headbutts Bliss. She grabs Mickie and yanks her around. Ember tags in and unloads on Mickie. Moon with a neckbreaker and a suplex. Mickie nails a kick and tags in Bliss. 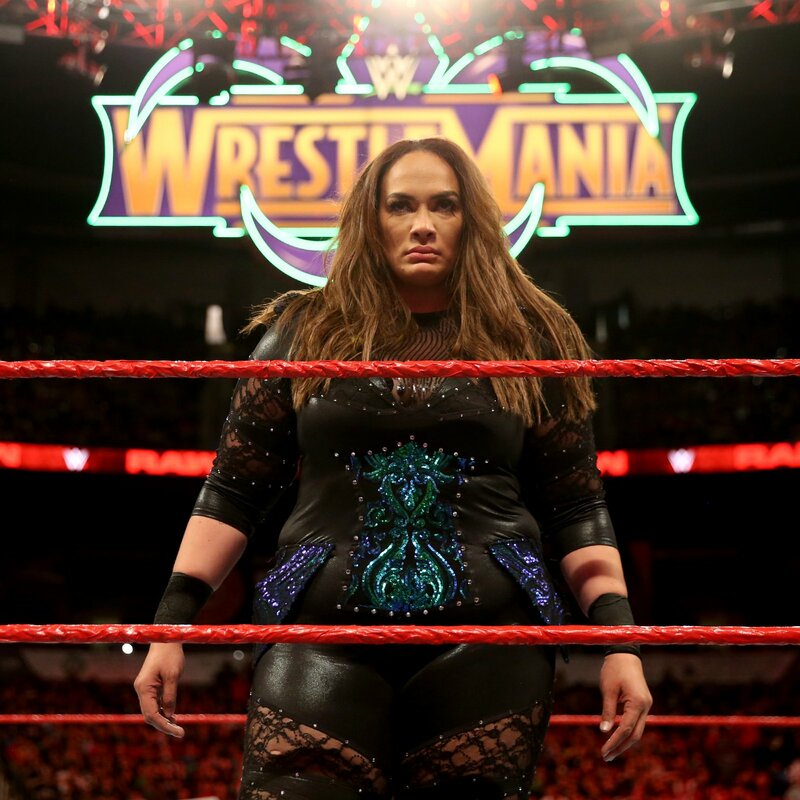 After enduring rattled nerves and the excitement of competing on The Grandest Stage of Them All, new Raw Women’s Champion Nia Jax hopes her big night at WrestleMania 34 will inspire others to stand up for themselves. 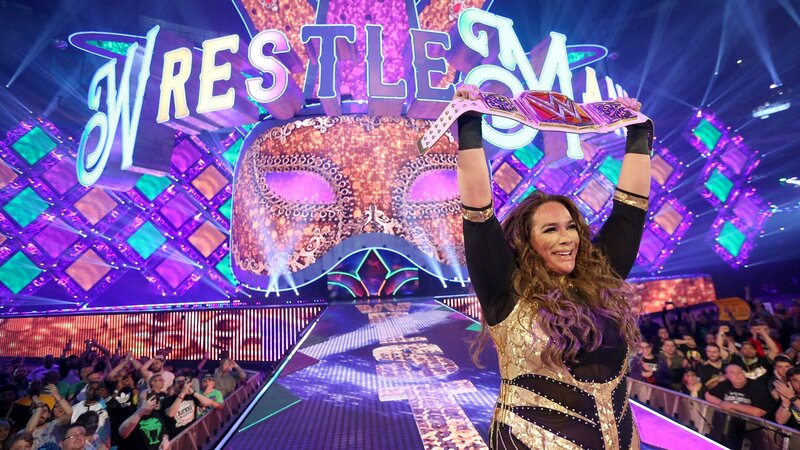 Despite the butterflies heading into WrestleMania, Nia Jax is ready to redeem herself against Raw Women’s Champion Alexa Bliss. 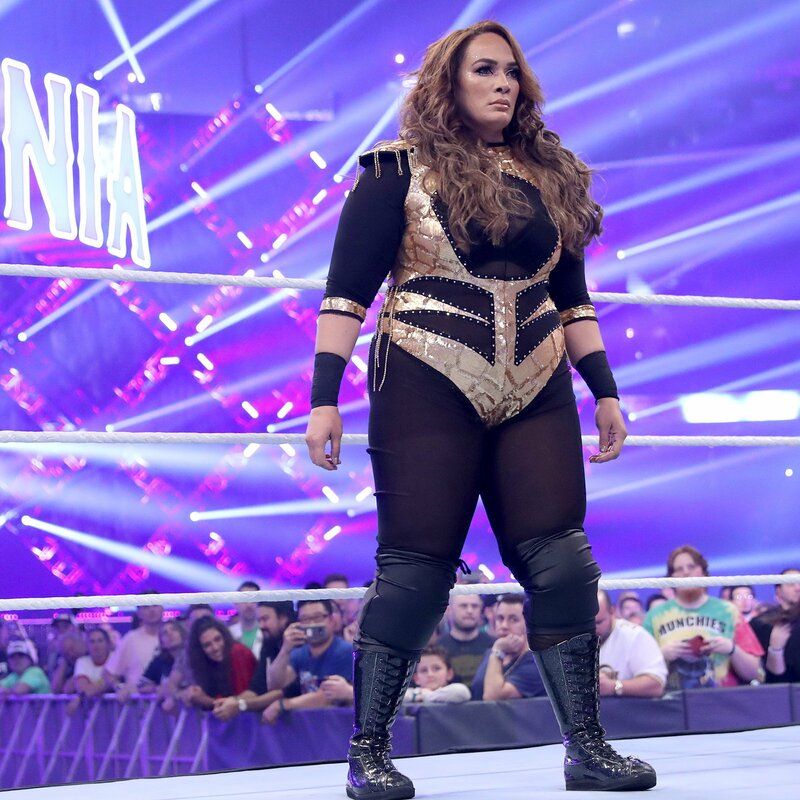 We go to Renee Young’s sitdown interview with Nia Jax. 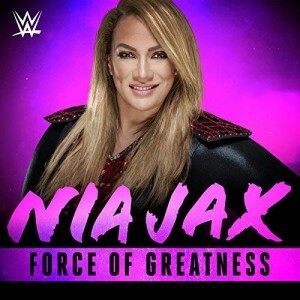 Jax talks about how she’s disappointed in herself for how RAW Women’s Champion Alexa Bliss has gotten over on her and made her doubt herself. 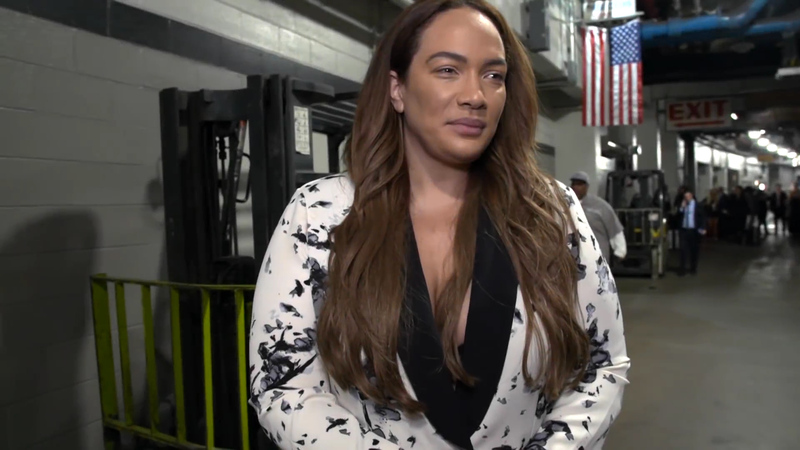 Jax says some of the comments from Bliss took a toll on her and hurt some of her confidence but she took a look in the mirror and told herself that she doesn’t take s–t. She’s strong, she’s confident, she’s different and also big but she loves who she is. This is how God made her and what her mom gave her. Jax goes on and has a message for Bliss – she’s nothing but an insecure little girl, a pathetic fly, and Jax will squash her like a bug at WrestleMania. Asuka and Dana defeated Alexa Bliss and Mickie James after Asuka made Mickie tap. Bliss and Mickie doubled teamed Asuka before DDT Dana. Bliss grabs Asuka again but the music hits and out comes Nia Jax, rushing to the ring. Jax grabs Bliss but Mickie hits her from behind. Bliss escapes the ring but Jax slams Mickie to the mat and then splashes her in the corner. Jax with a big Samoan Drop to Mickie as Bliss watches from the stage with her title. Jax stands tall and stares Bliss down as her music hits.